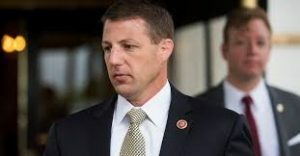 “Americans deserve better than to foot the bill for the Green New Deal’s reckless, expensive, and unattainable goals.” Rep. Markwayne Mullin. The Green New Deal unveiled by two Democrats in congress did not get a warm reception from Oklahoma Congressman Markwayne Mullin. Nor did he appreciate his comments being reported at the end of a Bloomberg News Article about the environmental legislative proposal from Rep. Alexandria Ocasio-Cortez of New York and Sen. Ed Markey of Massachusetts. Rep. Mullin, the 2nd district congressman who sits on the House Energy and Commerce Committee was blunt in his opposition to the Democratic proposal that carries an estimated price tag of $7 trillion. The plan already has 60 co-sponsors in the House but is strongly opposed by Republicans such as Rep. Mullin who are critical of a plan they call technologically impossible and with a price tag into the tens of trillions of dollars. Even House speaker Nancy Pelosi has offered a luke-warm response to the plan. 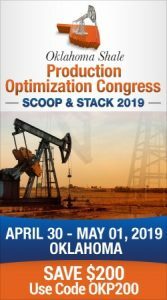 Earlier reports indicated the Green New Deal might even include a move by Oklahoma U.S. Sen. Jim Inhofe to expand federal grants to clean up and reuse brownfield sites. He had filed S. 822 to do so. But the Senator has yet to react to the plan and no statement was available from his office.